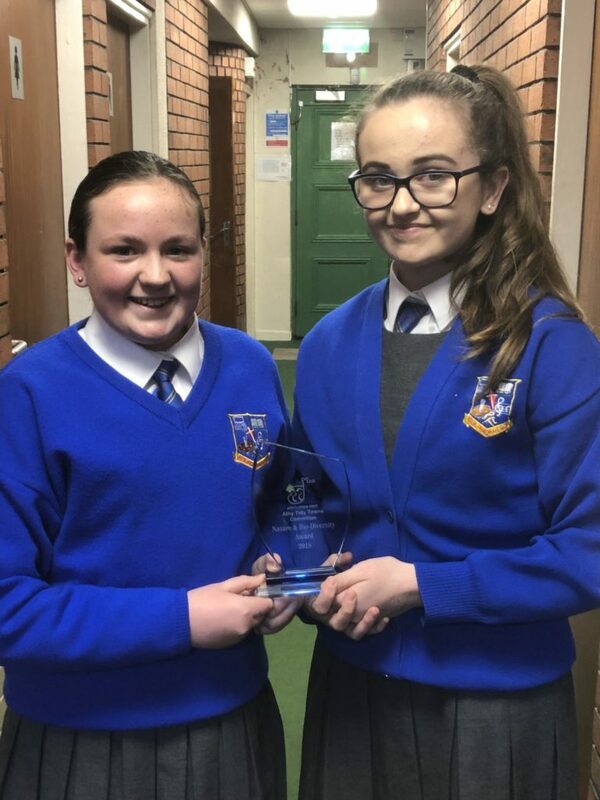 Well done to the Greenschool Committee who recently won an award, with the Athy Tidy Towns Committee for their work on Biodiversity. The award was received at a ceremony by Kyla Davis and Avea O’Mara. We are currently working on our next flag where our focus is the reduction of single use plastic.